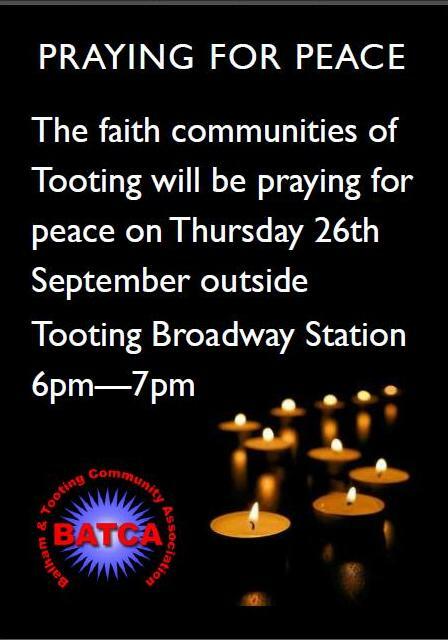 Join Balham & Tooting Community Association on Thursday 26th September 6-7pm for prayers for peace outside Tooting Broadway tube station. 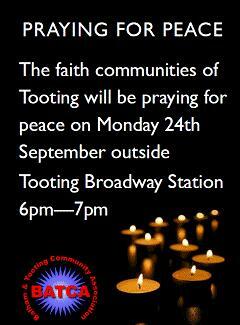 Passers-by light candles and local religious & civic leaders, including Sadiq Khan MP, lead prayers and meditations on the subject of peace. 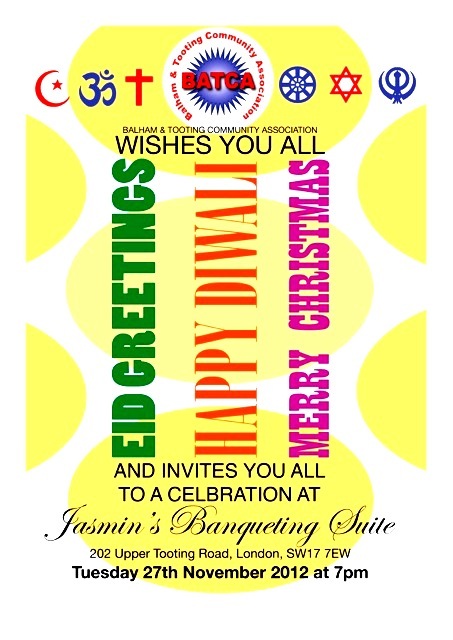 It is always a popular event and everyone is welcome. For more information, contact Kate Allan and download the flyer here.